Nicostar – řešení chuti na cigaretu. – Řešení chuti na cigaretu. your smart solution to a cigarette! Smart solution to a cigarette! 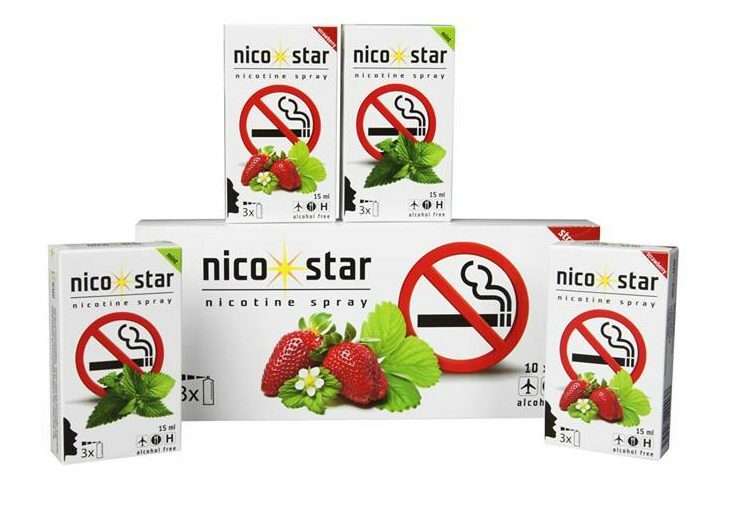 Nicotine spray NICOSTAR is used by spraying into the mouth. It is an application of nicotine with immediate efect while respecting people in your proximity. Can be used not only where smoking is prohibited. 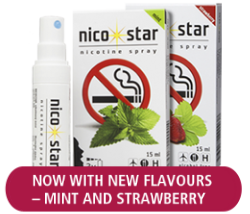 Our nicotine spray NICOSTAR contains solvents, acidity regulator, preservatives, moistening agent and liquorice.